Your path in life has brought you here for a reason. The next step is to click through to see if Buddhist Online Dating is meant for you...or if you should continue on looking for the commmunity that matches what you are seeking at this moment. Looking for other Buddhist singles? What better place than 'Meet Buddhist Singles'? If you are interested in finding an online dating site where you are likely to meet people you would connect with, then this might be the site for you. 100% free online dating & social networking for Buddhists and those interested in Buddhism. The self-proclaimed "#1 Buddhist Community" seems like a great place to meet other single Buddhists who might be open to friendship, romance or more. Join for free and see if you find someone who shares your path in life. It's pretty simple really. If you are interested in meeting other Buddhists online, you should join Buddhist Dating Service. It only takes a few minutes to set up a free account, and then you can check it out. 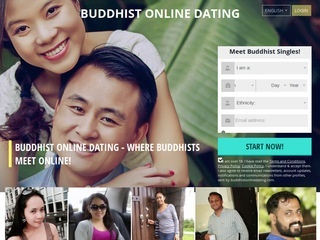 Buddhist Chat City is more about connecting Buddhists online for chat rather than specifically for dating. Everyone knows though, that chemistry is hard to pin down, but the first step is to connect in some way. Take advantage of the low key, low pressure atmosphere within Buddhist Chat City to begin chatting with others who share your beliefs...and then, who knows? Join for free!